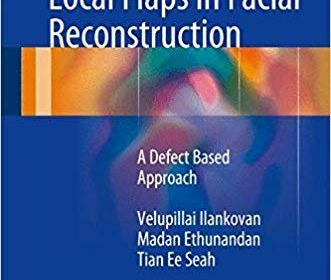 Written by three experienced consultants with a large skin cancer practice and international reputations for excellence, this book provides comprehensive practical solutions to defects in the head and neck region that are confronted by the clinician in day-to-day practice. Essential information is first provided on anesthesia, defect assessment and individual flaps, while the core chapters focus on the reconstruction of specific defects at specific sites. The defects and reconstructive solutions are depicted by means of sequential, clinically relevant line drawings that are complemented by clear supporting text highlighting the intricacies and nuances of the procedure and the decision-making process. Helpful algorithms at the end of each chapter summarize the solutions. This book will be ideal for use in daily practice by clinicians and trainees and will assist in achieving excellent cosmetic outcomes in this aesthetically sensitive part of the body.